my lab let him have it but I am unsure how to make him keener to hold onto the dummy but I don’t want him to end up in a tug of war with another dog . Obviously on shoot days there are going to be a lot of dogs about and I don’t want him to just give up the bird if another dog comes close. I would expect the other dog owner to stop his dog taking your dogs dummy! You say “kept taking the dummy from my dog” so you continued sending your dog for retrieves while the other dog was there? Better your dog let the dummy go than end in a tug of war or fighting, did the other dog take it from his mouth or did your dog drop the dummy? I am guessing your dog is young and of a placid nature? Train your dog on your own you mate isn't doing you any favours. Took dummy from his mouth, he is 9 months and yes very placid .the other dog is a lab but not going to be a gun dog , he only came along for a run but I worried about my dog having problems on shootdays . Do you think he will ‘man up’ more as he matures? At that age he is still a puppy and with that and a placid nature he will be subordinate to older dogs, with age and experience he will “man up” the fact that the dummy was taken from his mouth and he did not drop the dummy on the approach of the other dog is a good start. 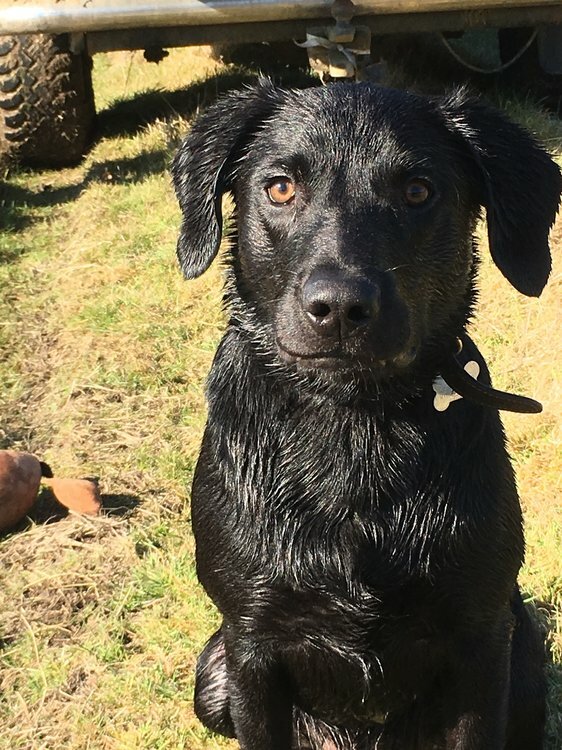 You should not get the problem of other dogs taking birds from your dog on shoot days, (but it can happen) just to be safe on his first few shoot days try to send him on close retrieves and away from the crowd, as he matures and gets more confident he will come into his own. As B725 said try and do your dummy retrieving work where there are no other dogs, if your mate comes with his dog ask him to put his dog on the lead when yours is retrieving. Very placid nature? Would that be verging on a nervous dog? He can be a bit nervous, but he is very keen to please.his training is coming on well ,he is fine with starting pistol and learns quickly,perhaps I am worrying too much but this is all a bit new to me so keen to learn. Just carry on as you are but slowly, make sure the stop and recall is also sorted and a picture of the dog. Unlike a bold dog, a placid/nervous dog can be spoiled very easy, but as you say, you maybe worrying unduly, just keep going as you are, and as been said, make sure the stop and recall are well grounded. Just a point on dummy retrieving…..don’t over do it, as with any part of your training little and often keeps them keen. He's just young don't worry about it. When training with other dogs, make sure you only train with other dogs that are at (or working towards) the standard you want yours at. A good dog / trainer wouldn't let their dog come over to yours and do that... but if you train with other people who don't train their dogs etc they won't understand that. Nice looking pup what's he called. Dog? His name is Eric , full of character and loves water. I'd rather have a dog that gives up a retrieve than be hard mouthed and/or protective/aggressive. For me, the most important thing is REMOVE THE PROBLEM. You can't train your dog with another dog `playing` and stealing the dummy. If it happended once, then stop and/or ask for the other dog to be put on a lead, or just call it a day. If you've continued to carry out retrieves, then you've contributed to the issue. It's your dog training time, so set the parameters, remove distractions etc. A young dog can be affected by experiences when young, so minimalising those experiences is helpful. He's a lovely looking dog. Enjoy your training and don't stress too much!